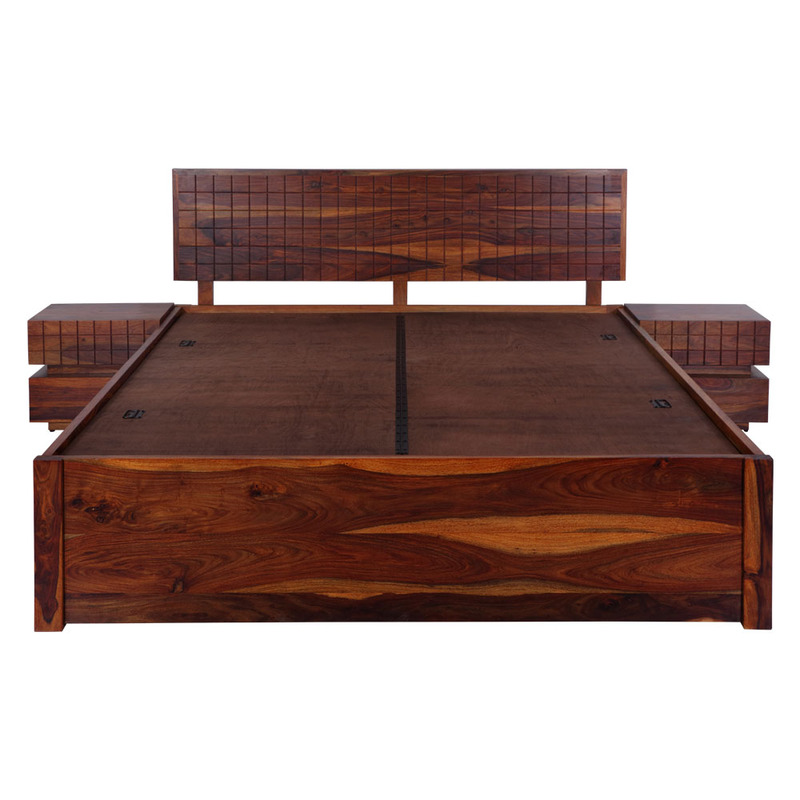 A stunning combination of Sheesham and ply, the Imperial New Solidwood Queen Bed is a truly tasteful pick. With its natural honey tones, the Imperial complements the shades of any wallpaper or colour scheme. Built to offer style as well as storage, this bed features a special compartment for storing bed linens, pillows and other essentials. The compartment may be revealed through a charming pull out drawer that easily slides in and out of the bed. The headboard of this piece features a classic checkered pattern that is understated and yet elegant. Representative of modern sophistication, this bed also features slim bed legs near the headboard. Truly a remarkable piece, this bed will make you bedroom look truly contemporary and chic. You can choose to buy this piece from our online furniture site, or visit any of our 25 furniture stores across India for the best deals in home furniture.